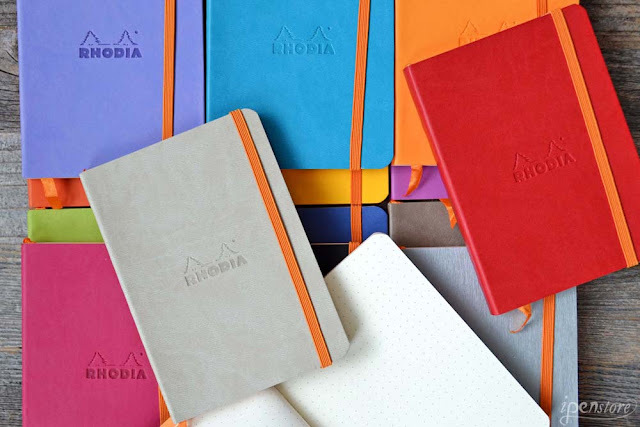 Rhodia has long been a favorite brand of fountain pen lovers, with great reason! They use Clairefontaine paper- the smoothest paper in the world. Rhodia really knows how to make a notebook and the softcover doesn't disappoint. 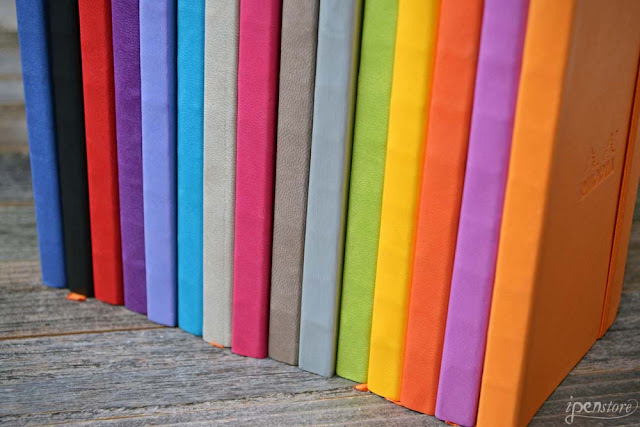 The cover is made from Italian leatherette that has a soft tactile feel to it. 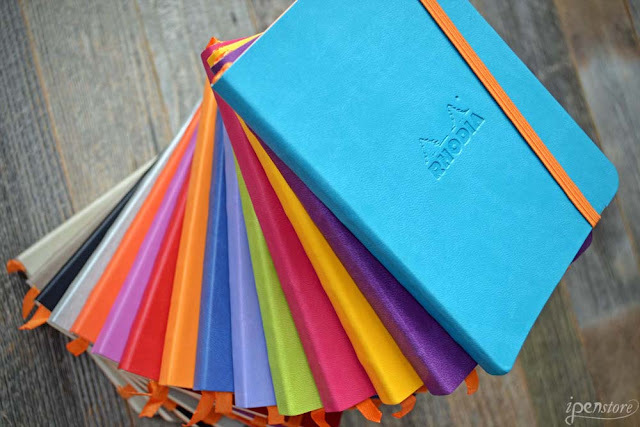 The cover has the Rhodia logo on it, embossed into the cover which is thin and flexible. It comes in 15 fabulous colors! Inside, you'll find ivory colored paper. This feature can be a downside to some that want to see the true color of their ink on paper- the ivory color will cast a warm shade to your ink. As usual it is very smooth and fountain pen friendly 90 gsm Clairefontaine paper. You can write on both sides of the paper without feathering or bleed through. The paper is pH neutral, acid free and PEFC certified. The paper comes lined or dot. It's great for bullet journaling. The lines and dots are light grey- dots are 5 mm spaced and lines are 7 mm apart. There is an orange ribbon bookmark, and the signature rhodia orange elastic closure. 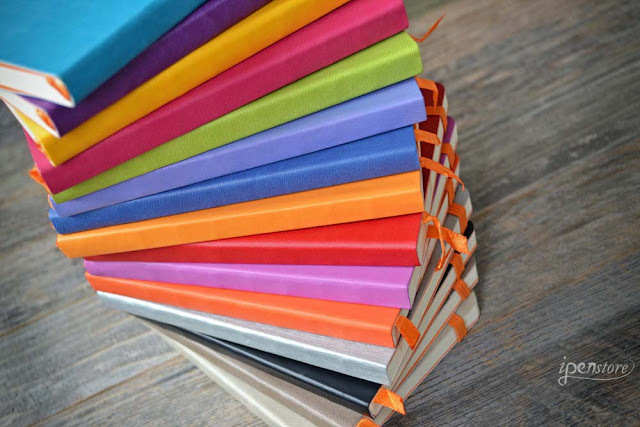 In the front and back of the journal end-covers are signature Rhodia orange. Inside the back cover is a pocket! 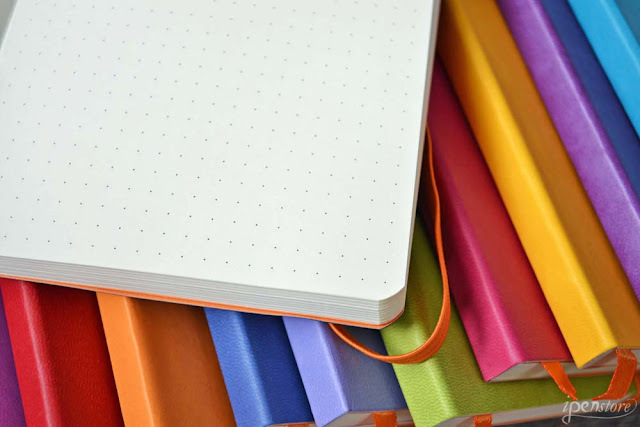 This is a great notebook and we highly recommend it here at iPenstore!